If you find yourself in need for more RAM for your Legion Y530, can you update it yourself? Is it difficult? How much memory does the Legion Y530 support anyway? 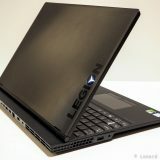 I ended up ordering a Legion Y530 that only contained 8GB of memory. As the machine is destined to become a development machine, this memory amount is just not enough. So I needed to upgrade it. Why buy a machine like that in the first place, you ask? Because when looking at what configurations were available in Finland, none were a perfect fit for what I was looking for. But as the RAM is upgradeable, I choose one that most closely matches my requirements, but had less RAM than needed. The maximum supported memory for the Legion Y530 is 32GB of memory. 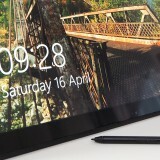 It has two memory slots, each slot supports 16GB of memory. The supported memory type is DDR4 SO-DIMM 2666Mhz RAM. The Lenovo PSREF contains (at the moment) wrong information, because it states that 16GB as the maximum amount of memory. 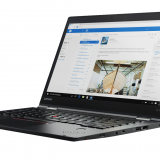 If you check the data sheets, product announcements or the Lenovo web page, they will all list 32GB as the maximum amount available. Will this upgrade break my warranty? If you do not break anything else in the process, your warranty will remain intact, but of course will not cover the new memory modules you add. Only the original RAM module is covered by the warranty. If you happen to make any damage during the upgrade, then that is not covered by warranty. DDR4 2666Mhz SO DIMM memory module or modules. I used Kingston Hyper X for the upgrade. 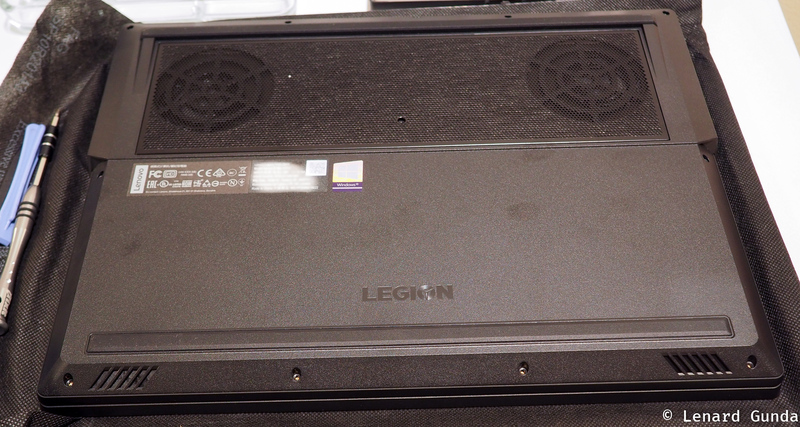 The hardware maintenance manual for the Legion Y530. I like to put it onto a tablet, so I can view it during the time I am working on the computer. I like to use tools by iFixit. You can buy a kit that contains almost everything you need, like their Pro Tech Toolkit. Or you can buy individual tools or some bagged kits as well. Notice they have a separate EU store. Disclaimer: I am not supported by or affiliated with iFixit. I chose their tools because I find them very useful, but I do not receive any sort of compensation for recommending them. You need to remove 11 screws from the back panel before you can get it off. You might need some sort of container to hold them while you do your repairs. Also note that 5 are different length then the rest, so make sure you don’t mix them up! With the screws removed you need to push something in between the back panel and the body. DO NOT USE anything metallic like a blade, because you will leave scratch marks. The iFixit spudger works wonders, as do the opening picks or opening tools. I tried inserting the opening picks first, then flexing a little so I can get the opening tool or the spudger in between the panel and the base. Then I try to widen the gap so the plastic hooks give way. For example you can try twisting the spudger. You should hear small clicks as the backpanel starts to open up. I released the front side first, before moving on to the sides. The air flow vents required some extra force that made me a little uncomfortable. The vent need to be flexed OUTWARD from the body to have it separate. The back side did not give any resistance when the front and the sides were removed. Make sure to follow the Hardware Maintenance Manual as to what order to proceed! Disconnect the battery first. You should also touch some metallic object that is grounded (like a radiator in a central heating system or similar thing). This will discharge any static electricity you might have. 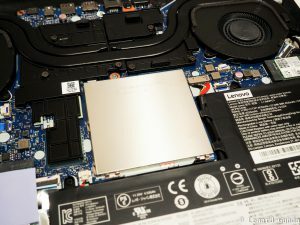 If you touch the memory modules while loaded with static electricity, you might damage the memory module(s) or your computer. The memory is located under the shiny metal rectangle in the middle. The memory shield in held in place by clips. I inserted the opening picks between the shield and the clip on the right side, before using the spudger to lift the shield. When one side was freed, I simply removed the shield with hands. Make sure to lift the entire shield upwards. If you tilt one side up, you risk braking the clips. Underneath the shield are two memory slots. You need to unclip the existing module or modules on the sides, slide them out and then slide in the new modules, and push them down until they click in place. See the HMM again. Put the shield back in place, making sure the edges go between the clips on all sides. Replace the back cover, from the back first. Clip the back side in place, proceed on the sides and finally on the front. Add all the screws you removed. Some instructions say you might need to reboot several times for the new RAM to be recognized. My first reboot lasted an awfully long time before the Legion logo showed up. But after that Windows started and it reported 32GB of RAM. 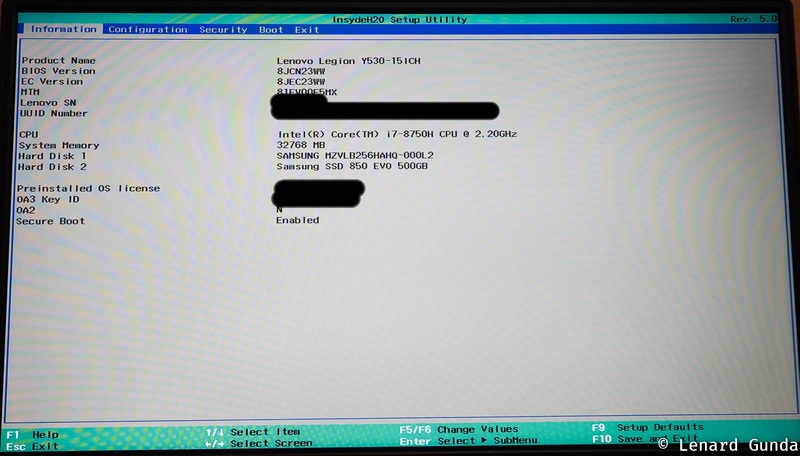 I also entered BIOS settings and confirmed the RAM amount is visible there as well. 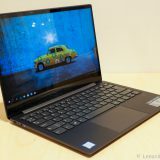 If you are thinking about getting a Legion Y530, why not read my review of it? I bought them from a shop called Multitronic (www.multitronic.fi), if you are in Finland you can use them. I don’t know if they ship to other countries. Do you still remember the complete product name? Honest question to you, @Lenard. Did you ever have the issue where the Legion Y530’s fans would spin up while idle or doing low-intensity things like opening a web browser? At least I can share my experience here: I had this issue and was so brokenheartedly disappointed that I just straight up returned the machine as defective. I already purchased 32GB ram and a 1TB PCIe ssd for it and – except this single fan flaw – it was a perfect machine to me.. Absolutely beautiful and non-cheesy (no red lighting, phew! )… I’m very bitter about it since I have an incredibly hard time finding a good machine. 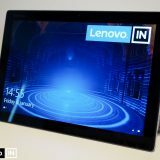 Hope you can share some of your experiences; I want to give this model or next model another shot at it, but there are so many forum complaints about this issue (lasting through the last few Legion series) that I’m worried that Lenovo just doesn’t care. They had years to fix it, but they never even comment on their own forums. Thanks! Yes, it does it from time to time. 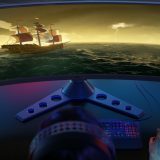 I found a forum post that says it does it when the CPU goes into turbo boost mode. So, as you describe it, when you launch a browser or do something that stresses the CPU for a split second. 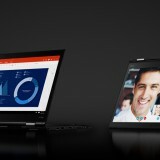 I reported the issue to Lenovo but I have no idea if they are going to fix it. Some were able to get rid of it by disabling turbo boost in the CPU. I am not really bothered by this after learning about the reason behind it (turbo boost). Hopefully it will get fixed. 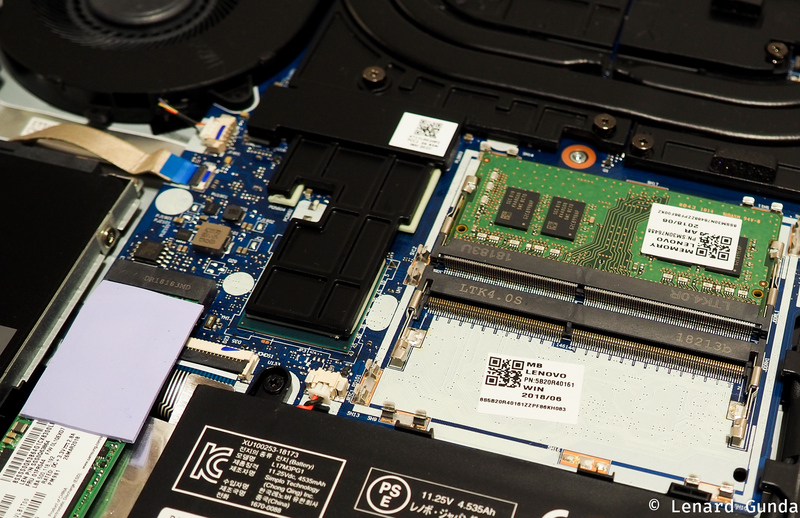 Was it an 8gb SIMM or DIMM in your laptop? Seems like the thing you need! Thanks for the help man, it worked. Do you mean it y530 motherboard doesn’t support 2400mhz? It does support 2400 Mhz. Hi! Thanks for an awesome walkthrough! Answer is yes to both your questions. The memory looks like a good fit for the notebook. And the 1TB drive should work also. Hi. 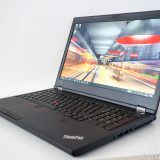 I’m set on buying the Y530 (also for development). This model originally has 8GB of RAM and 1TB HDD. I want to upgrade everything, 2TB HDD, put in 1TB SSD (Samsung 970 EVO 1TB NVMe M.2 SSD) and add one 16GB RAM module. My questions are: – Can I add a 16GB RAM module in combination with the existing 8GB to have 24GB? 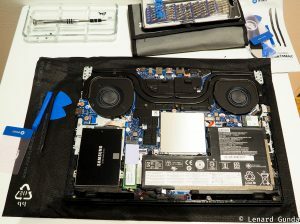 Can I install the mentioned SSD in this laptop? Does the laptop have all the necessary screws inside to fix the SSD? The Y530 takes NVMe SSD:s, to the model you mention will work. As for the screw, I think it should be in there already. I am not 100% sure about this, but I do recall reading somewhere that the screw should be there, but I could not find the source now. Hi Lenard. 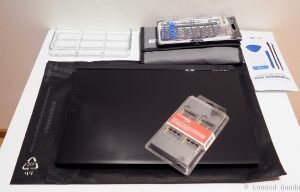 I bought the Y530, opened it and successfully installed 16GB RAM and the Samsung 970 EVO SSD 1TB NVMe (btw, there was no screw ready in the laptop for the SSD). 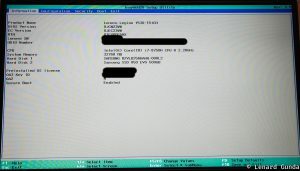 I installed a clean Windows on the SSD and everything works fine. There is something strange and that is the temperature of the SSD is around 60 degrees Celsius on idle. This doesn’t look normal to me. Under load, the temperature was up to 71 degrees Celsius Can this be normal? Is there something I can do about it? Did you mixed the 16GB RAM with the 8GB RAM on the laptop? So you had a total of 24GB RAM on your y530? Thanks. Hi I was opening up and putting back the laptop the way you did without changing anything, cuz I just wanted to take a look. After I put it back together it does not power on anymore. The LED light that turns on when you charge is also not on. Have you got any idea why that is? I tried releasing it of fleet charge but didn’t work. 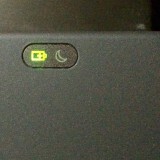 One thing I noticed is that a certain part between the battery and the fan heats up when I attempt to power up. 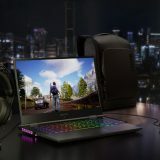 I’m having a hard time steaming and gaming at the same time, I have a samsung ssd installed also, would upgrading my RAM to 16gb help with my frame drop issues and ping issues when the laptop is being over worked?? You should check the performance tab of task manager when you are running everything. If most of the ram is in use, then probably adding more will help your issue. How long did your reboot take when you replaced the modules? I don’t recall exactly but it was uncomfortably long. Like a couple of minutes. But not longer than 5. Você quis dizer bo tem 16 gb de memory ram da hyperx porem a velociade que esta aparecendo no gerenciador de tarefas e 2400mhz, o certo seria 2660? ou isso e normal? I downloaded 16 gb of hyper ram memory, but the speed that is appearing in the task manager is 2400mhz, what would be 2660? Is this normal? I checked in Task Manager and it shows me 2667 Mhz for the RAM speed. Are you sure the RAM modules you use are DDR4-2666 memory sticks ans not DDR4-2400? yes I have a program that says the memory has 2660 mhz do you know any way to change its speed? I’m planning to upgrade the RAM. 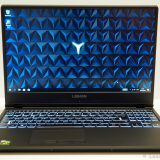 Can I mix 8Gb-2400Mhz with the existing 8Gb-2666Mhz installed on the Legion Y530? Is there any compatibility issues? Thanks. When mixing rams this way, all modules will run with the slower speed. So in your case that would be 2400Mhz. 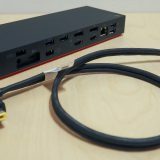 This should in theory make the computer a tiny bit slower, but I really doubt you could notice it in everyday usage. Maybe in benchmarks you could measure it. I’ve upgraded my Y530 with a 8 GB of RAM from HyperX with 2666 Mhz, but I apparently my laptop does not recognize the new DIMM as 2666 Mhz and automatically sets the speed to 2400 Mhz. Is there a problem with the new RAM module or a setting that I should’ve done after the install? Thanks a lot and good day! Hi Sorin! You say you upgraded – so do you have another module besides the new 2666 Mhz one in the notebook? Download and run CPU-Z (freeware hardware info app, just google the name), and on the SPD tab verify each of your RAM modules. Is the max freq 2666 Mhz for both of them? OK, I did and both have same speed 2662 Mhz to be exact, I’ll leave a validation link from CPU-Z to see all the details and from what I am capable to see is that one module has a XMP 2.0 profile and the other does not, I don’t know in what measure can that effect the speed, but that’s what it is. I am afraid I cannot help you with this specific issue. As both modules are ddr4-2666, it should be working. I have 8 GB of RAM right now, just the standard setting the laptop has.